Lincoln City Libraries fosters the power of reading and provides open access to all forms of information to enrich people's lives every day. Lincoln City Libraries will host four free Stop the Bleed training classes in May. The courses coincide with Stop the Bleed Month, a nationwide campaign to highlight emergency first aid training. 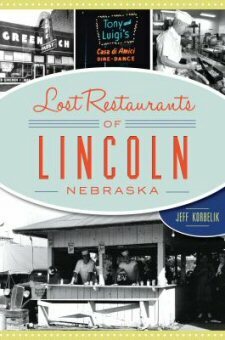 Lincoln City Libraries invites the public to a free presentation Sunday, April 28, by Jeff Korbelik, author of Lost Restaurants of Lincoln, Nebraska. 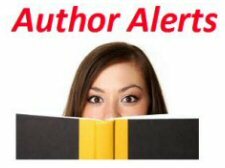 The event will be at 2 p.m. in the fourth floor auditorium of the Bennett Martin Public Library, 136 S. 14th Street. Free on-street parking is available downtown on Sundays. Korbelik, a longtime Lincoln Journal Star restaurant critic, will share stories and photos of popular local restaurants, including Miller and Paine, P.O. Pears, and Tastee Inn. The presentation is part of the John H. Ames Reading Series sponsored by Lincoln City Libraries and its Heritage Room of Nebraska Authors. The Heritage Room of Nebraska Authors is a service of Lincoln City Libraries, supported by the Nebraska Literary Heritage Association and Foundation for Lincoln City Libraries. Teens – do you want to be a Summer Reading Volunteer? Sign up starting April 15 at the Lincoln City Libraries location of your choice. The information you need for signing up is available here! Or pick up your 2019 summer reading volunteer registration forms at any public library or your school media center. Contact your favorite librarian for more information. Important: to ensure a quality experience for both volunteers and customers, volunteer training is mandatory. No exceptions. Summer Reading images are copyrighted. Contact the CSLP at 1-866-657-8556 or info@cslpreads.org for more information. 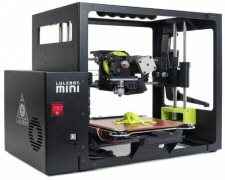 3D printers are available at Lincoln City Libraries locations on a rotating basis; the schedule is available here. Contact staff for demonstrations or to register for training. You can also send requests to be printed. This project was supported in part by the Library Services and Technology Act, administered by the federal Institute of Museum and Library Services and granted by the Nebraska Library Commission. You can help support the Library through the Lincoln Cares program. Enroll today at https://app.les.com/Applications/_LCDonate/ or call 402-475-4211. Thank you for your support of parks, libraries and older adults in our community! Can’t make it to one of our storytimes? Have your own virtual storytime at home or on the go with the TumbleBook Library! The TumbleBook Library is an online collection of more than 500 animated, talking picture books available in English, French, and Spanish which engage kids while teaching them the joy of reading. Apps for Android and Apple devices are also available. Hoopla is our streaming media resource, providing movies, TV shows, music and more, through your computer or via Android and Apple apps. Register for an account here; if you already have an account, you can login here. If you are having trouble logging into your account or need to update your account information, please check here. Note: Hoopla accounts are now limited to 4 checkouts per month. Job listings within 25 miles of Lincoln, from the Nebraska Department of Labor. Kick the school year into high gear with homework assistance from Homework HelpNow! It provides free homework help and online tutoring for grades 3-12 in the areas of math, English, science, and social studies. Chat with a tutor through instant messaging from 2:00 PM to 11:00 PM, seven days a week. Spanish-speaking tutors are also available. With our MobilePrint Service™, you can use your personal computer or mobile device to print to the library’s printers from anywhere. Simply submit documents for printing and come to the library to release and pick up your document using your library card. Access your library on the go with BookMyne, our mobile app! Search the Library catalog, place holds, and manage your account on your smartphone or tablet. My Account functions include a list of items currently checked out, current charges, the ability to renew items, and the ability to view pending and available holds. BookMyne is available for iOS (iphone, iPad, iPod Touch) and Android devices. Download the User’s Guide here, or stop by any Lincoln City Libraries location to learn more, and for help finding and installing BookMyne. We are pleased to have lynda.com in our collection of online resources. lynda.com provides instructional videos on thousands of topics, including technology, business, design, and more. Sign in here with your library card number (or your ConnectED 6 digit LPS student ID) and PIN to get started. You can then set up your personalized account to manage your playlists and progress through the tutorials. Please note that you can only sign in through this link, and not by directly visiting the lynda.com homepage. lynda.com’s accounts for libraries do not include access to their mobile app. However, once you have logged in through your mobile device’s browser, you will be taken to a mobile-friendly version of the site. Our Welcome to Lincoln City Libraries videos, available in a variety of languages, provide an overview of the services we offer! Please check our Library Learning Times (Storytimes) page for additional events for children.